Deeply honoured to head to Seaton in Devon to perform magic for Hannah and her 20 friends on the occasion of her 10th birthday. 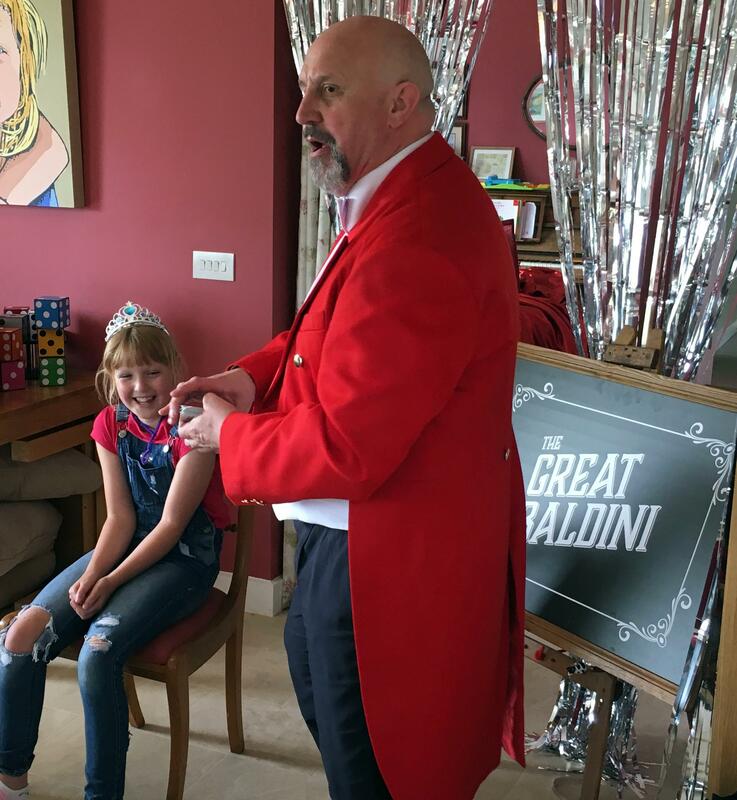 She is a massive Harry Potter fan and insisted on magic at her birthday party – an intelligent child, clearly. Whilst delighted to oblige children’s birthday parties are not my forte but it all seemed to be going very well. 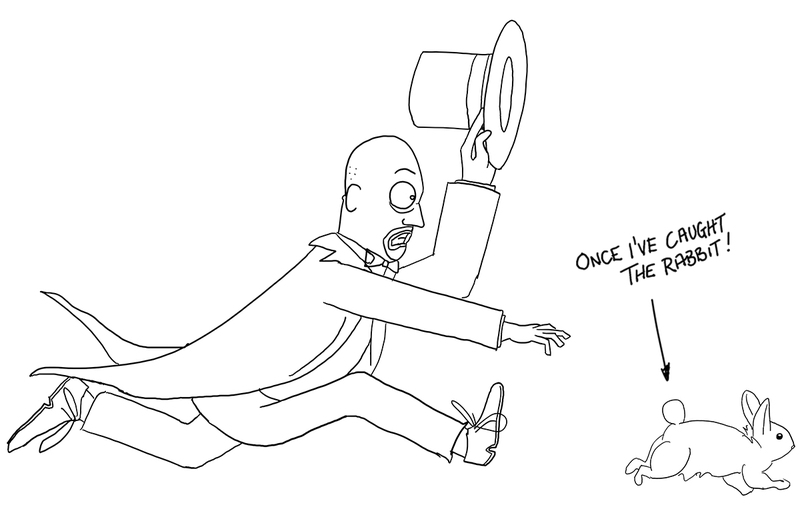 I had told them of the Magic Show I performed on my 10th birthday party and done my first ever trick. I had told them the story of the Princess and the Pea and proven through the same system that Hannah was indeed a real princess (see picture – she’s sitting on it). I had proven that as women grow up they develop telepathic powers by demonstrating that Hannah’s mum could read the minds of 5 of the girls there. The enraptured faces of the audience beamed up at me. Then disaster struck. I was just performing my finale – the great jacket escape – when half way through, as I wrestled behind the curtain of death, the chains on the shackles of destiny broke (shoddy workmanship if ever I saw it). Broken chains rather work against you in an escapology performance but like the old trouper I am I pressed on with 20 girls pointing and shouting ‘the chains are broken’ as I hissed at the little tinkers to keep quiet and not give away the secret. Everyone found it hilarious…except me. Nevertheless, Hannah’s parents were very kind and insisted on paying me despite my offer to waive the fee (a habit I must abjure). I taught each of the girls the ‘Fast Hands’ card trick and left them working on it furiously. Overall a great success. NEW, STRONGER, SHACKLES OF DESTINY HAVE BEEN ORDERED FROM THE BLACKSMITH!!!! !